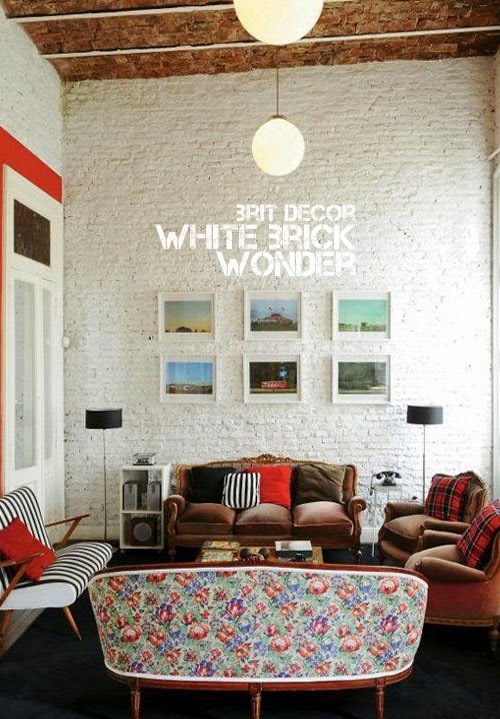 In the world of design, the Industrial vibe is still very much riding the crest of an interiors wave, so today's white brick look represents a transition from something very raw and edgy, to a slightly homelier and more tranquil feel. 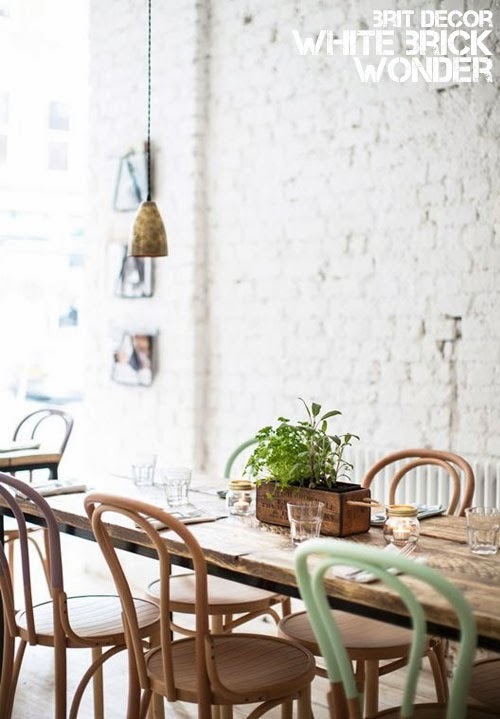 From converted lofts and warehouses to country cottages, this look is surprisingly versatile. 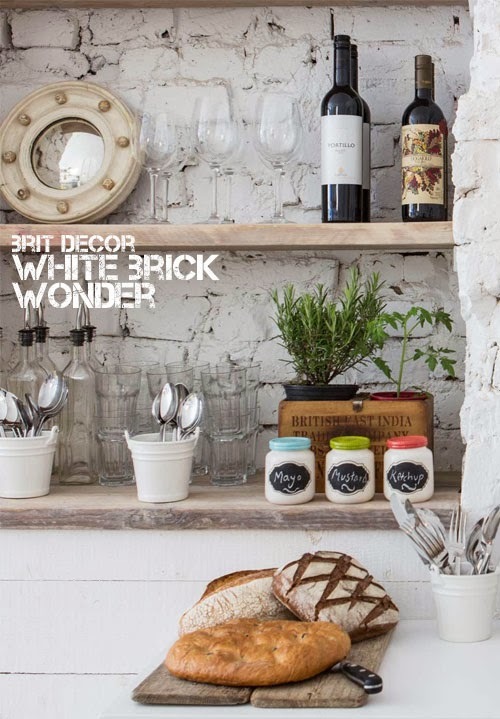 As a decorative feature, the abundance of texture delivered by bricks creates an instant impact and point of interest. Furthermore, it's as easy as a brushstroke to control the level of depth and texture that you want to achieve; less paint delivers a highly textured look with flashes of the original baked brick clay peeping out from underneath, whilst a fuller covering of paint provides a softer, brighter finish. Either way, the end result is a knock-out style statement. 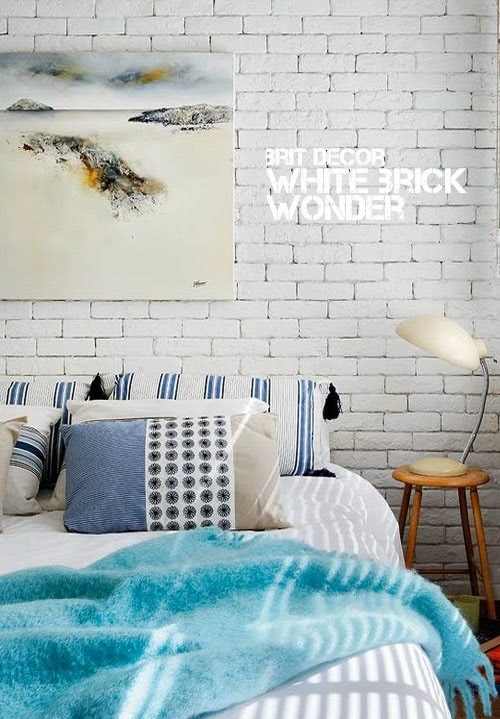 For lounges and bedrooms, mat-finish white bricks look great when contrasted with generous layers of textiles such as bedlinen and cushions. 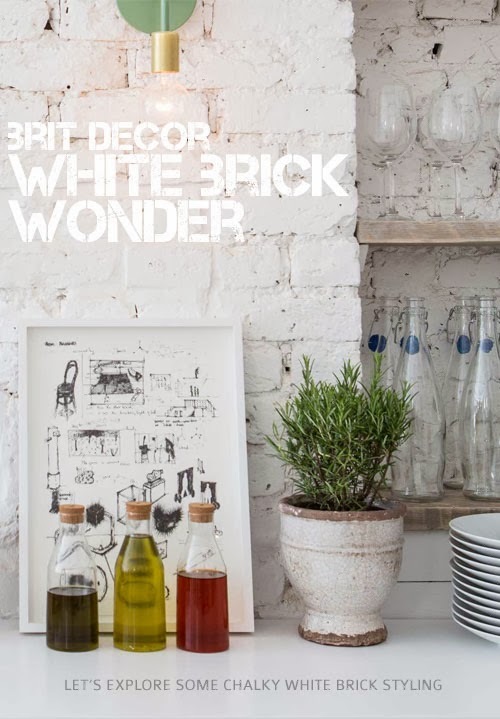 In the context of kitchens, colour flash point accessories work really well when set against white bricks, as does a sprig or two of luscious fresh green herb foliage! Do you have exposed brickwork in your home? What's your style? 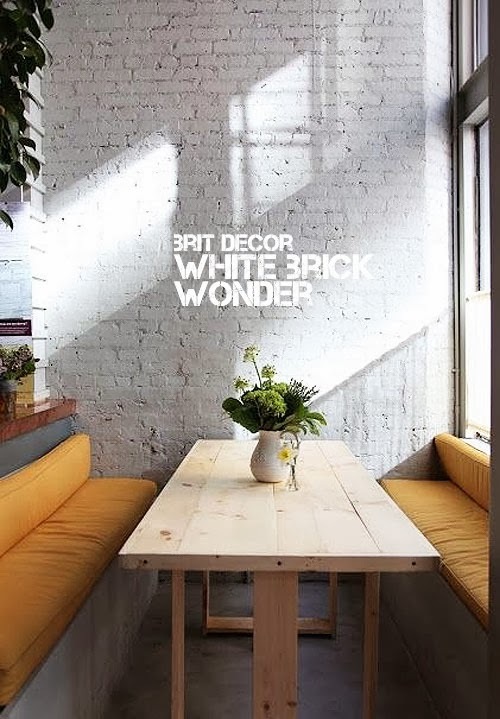 Love the point you made about white brick bridging a gap between the core trend and incorporating that look into a home. We chose to photograph our industrial lights against white brick for the same reason. It softens the metal just enough so you could imagine it in a residential setting, without losing the focus of the trend. Hi Stephanie, great illustration of how this look can really work on a practical level too. I hope the photo shoot was a success!